Tomorrow, Wednesday the 21st of September, is my 21st birthday!!!! Yay!!! I started school early as a kindergardener so I've always been younger than my friends. I'm looking forward to finallyyyy being 21. So, in celebration my tutorial for this week are these cute martini glass earrings! Now, here's how to make a pair of your own! Step 2: Form the base of the glass by making an inside out spiral. So were are making a spiral....starting from the outside going in. Use the largest part of your round nose pliers to start the spiral, and you can probably just do the rest by hand with a little help from needle nose pliers to keep it straight along the way. Bend the wire to a 90 degree angle coming out of the spiral. This will be one part of the stem of the glass. Step 3: Form one side of the cup of the glass by bending the wire with needle nose pliers to make a 45 degree angle. Step 4: Form the brim of the cup by bending the wire back over to the right with needle nose pliers. Step 5: Add a small red bead and larger green bead onto the brim. It's supposed to look like an olive! We'll secure the beads later. For now we're going to make a loop to connect the glass to an earring hook. Grasp the right side of the brim with round nose pliers. Bend the wire around the pliers to form a loop, and then straighten the wire out. Step 6: Form the right side of the stem by bending the wire from the cup the same distance as the one on the left. Step 8: Secure the beads with super glue so they stay together. Step 9: Attach earring hooks to the loop and you're done! Tada! Don't forget to check back for the GIVEAWAY TOMORROW! You're so clever! These are very, very cool! These are ADORABLE! Oh my gosh, good job! K and I LOVE your header and everything too. It's so freakin cute! Okay so tomorrow I am doing my VERY first LINK UP party. I would LOVE for you to come link something fun up! http://www.rolleduppretty.com/ I HOPE to see you there! What a cute idea! Very Mad Men-esque and so creative! I've been linking up to your Wednesday party for a couple of weeks now, but I think this is the perfect opportunity to become your follower :) I hope you have a great birthday!!!!! LOVE THESE!!! Thanks so much for the Tutorial and HAPPY 21st!!! I loved being 21--it was so much fun!! Thanks for the great tutorial! 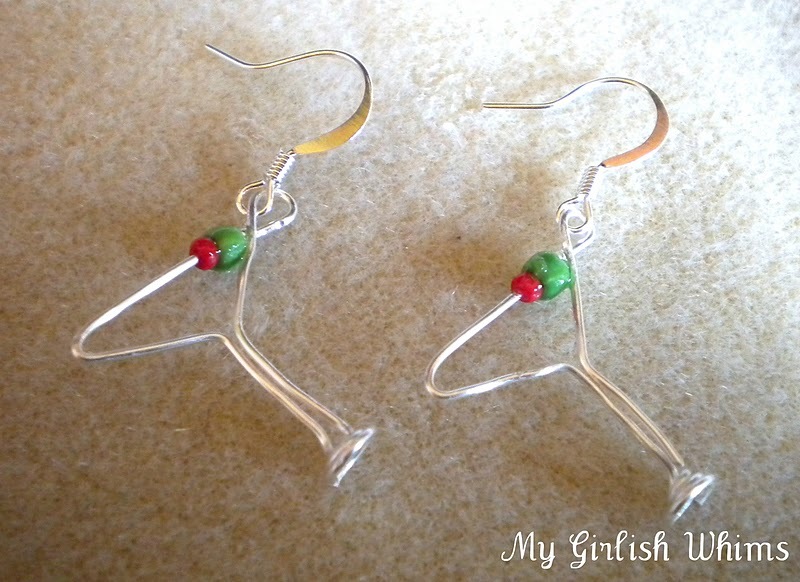 These earrings are awesome..perfect for turning 21! You share a birthday with my son who just turned 13:) Happy birthday a few days late. These are so cute! Thank you for sharing at Simply Creations Link Party! Hahaha, I had to smile when I saw it. I am sooo love it! Great job!!! Happy Birthday!!! Those earrings are really cute, very original!! These are so cute. Happy Birthday! Wearing jewelry will absolutely add elegance and uniqueness to your look. it has involved into a single the most sough following and cherished all over the world. Hope you had a fun and fab birthday! Hello! I'm your newest follower. 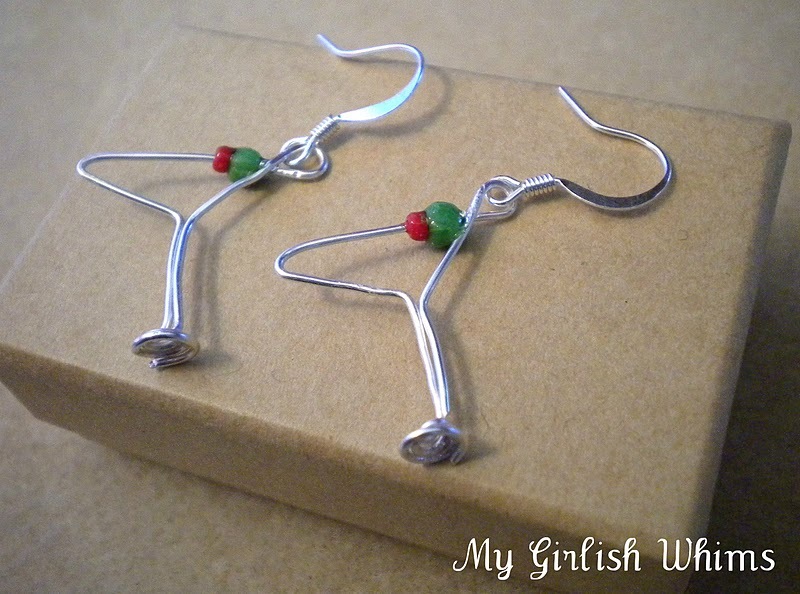 I found your blog while on Pinterest, love these earrings. Have a fabulous day!